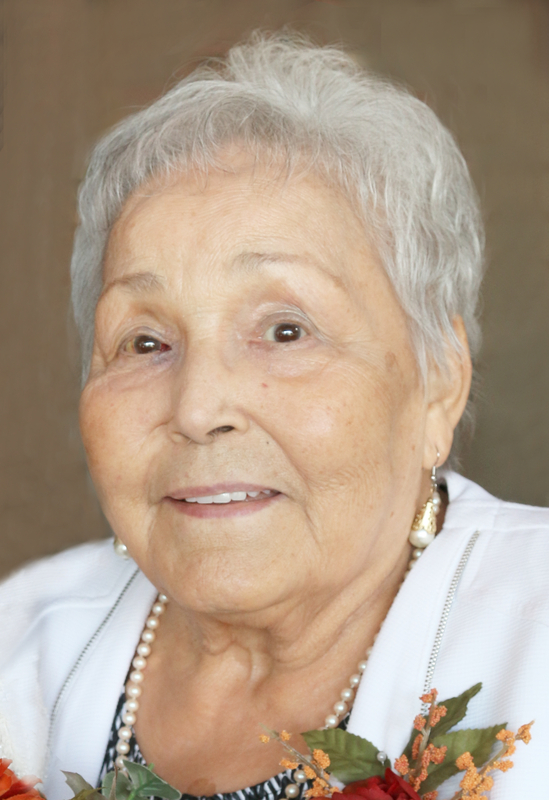 It is with great sadness that the family announces the peaceful passing of Vivian Lucille (Deguire) Parenteau, surrounded by her family at Saskatoon City Hospital on January 22, 2019 at the age of 84. Lucille was first-born to George and Florence Deguire on March 20, 1934 at Prince Albert, Saskatchewan. She attended Lynwood School. She then worked at the Princess Cafe in Prince Albert where she met the love of her life, Joseph. They were married on October 3rd, 1953. She and Joe moved to Saskatoon where they would raise their children while Lucille worked at Woolworths, GWG and finally SaskPower until she and Joe retired to Duck Lake. Lucille’s hands were always busy with labours of love like ceramics, beading, quilting, gardening, canning and baking to name a few. Lucille and Joe moved back to Saskatoon in 2001 where she continued to be active with her crafts, playing cards and cooking. She loved to be with her grandchildren and great-grandchildren, to read until her eyes failed, and her years volunteering at Our Lady of Lourdes Shrine. She and Joe were never far apart. In 2017 Joe’s Alzheimer’s required the move to Luther Care Home so Lucille moved to Luther Tower to be near him. Lucille visited Joe daily until his passing in July 2018. Lucille’s health began to fail immediately. Lucille endured several months of dialysis to be present for her family, who will remember her always as love in action. Lucille is survived by son Kal (Joyce) granddaughter Amanda Clarke (Steve) great-grandchildren Kelsi (Brendan), Josh, Ali, grandson Clay (Erin) great-grandchildren Carter and Ireland; son Rick (Susan) grandson Colin (Victoria) great grandchild Quinn, grandson Joe (Sabrina) great-grandchildren Kendra and Bella, grandson Spencer (Amanda); daughter Joanne and granddaughter Reighan Botelho (Mike); siblings Garry, Del (Lynn), Dale (Lois), Fern Assinewe (Brian), Debbie Schell (Dale). She is predeceased by her husband of 64 years, Joe, her parents George and Florence Deguire, her siblings Valerie, Darwin and Madge. A Mass of Christian Burial will be celebrated at Blessed Sacrament Roman Catholic Church, Duck Lake, SK on Friday, January 25, 2019 at 11:00 a.m. Interment of her ashes will be at a later date. In lieu of flowers contributions may be made in memory of Lucille to the dialysis unit at St Paul’s Hospital 1702-20th St., West, Saskatoon, SK S7M 0Z9. Arrangements entrusted to Funk’s Funeral Home, Rosthern (306) 232-5245, funksfuneralhome.ca. Dear Kal, Joyce, Rick, Sue, Joanne and families, so sorry to hear of Lou’s passing. She and Joe are now reunited after a brief separation, a testimony to the strength and love of their long life together. They were both pillars of the Duck Lake Community and more so the St. Laurent Community. Prayers and thoughts are sent your way. Keep strong the memories of such precious parents. So very Sorry to hear of the passing of a great Person R.I.P. Lucille always in my prayers LiL Cuz. now free of pain and suffering and with the love of your life Joe . Sorry to hear our deeps condoléances to you all. So sorry to hear the passing of such a gentle soul and a beautiful person, your Mom, Grandmother, Great Grandmother,Lucille. They both reminded me of my parents, who were never very far from each other. The 2 couples enjoyed dancing together, spending time at many Métis function’s, also at the St. Laurent Shrine for many years. My thoughts and Prayers are with all of Joe and Lucille’s Family.